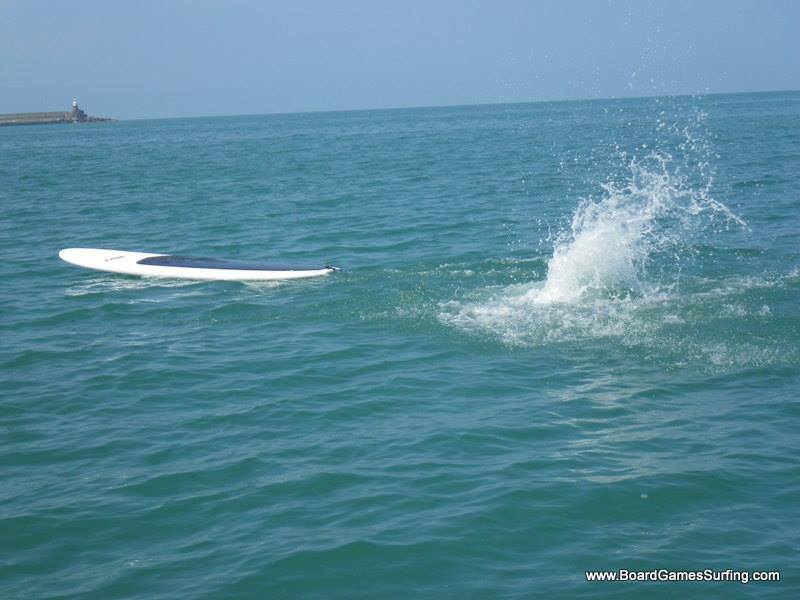 What is this SUP people are talking about?! 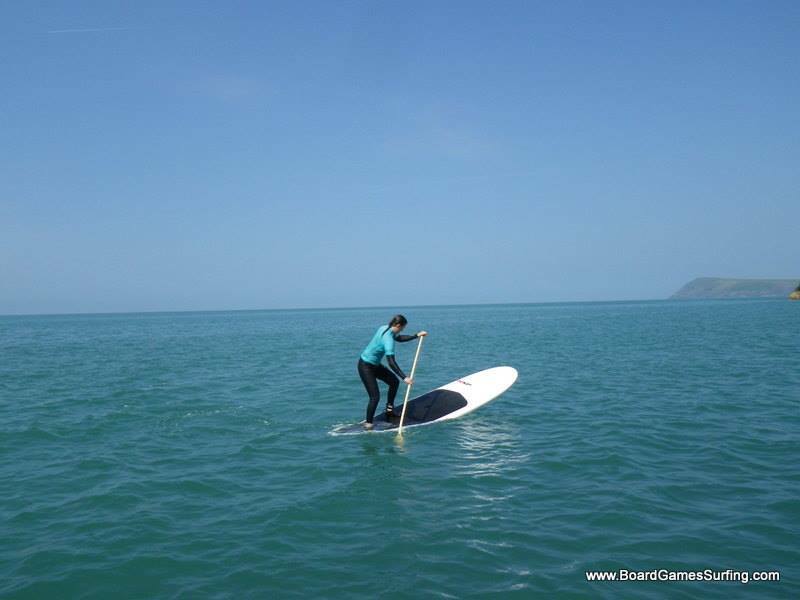 The easy answer to this is SUP is short for Stand Up Paddle Boarding. 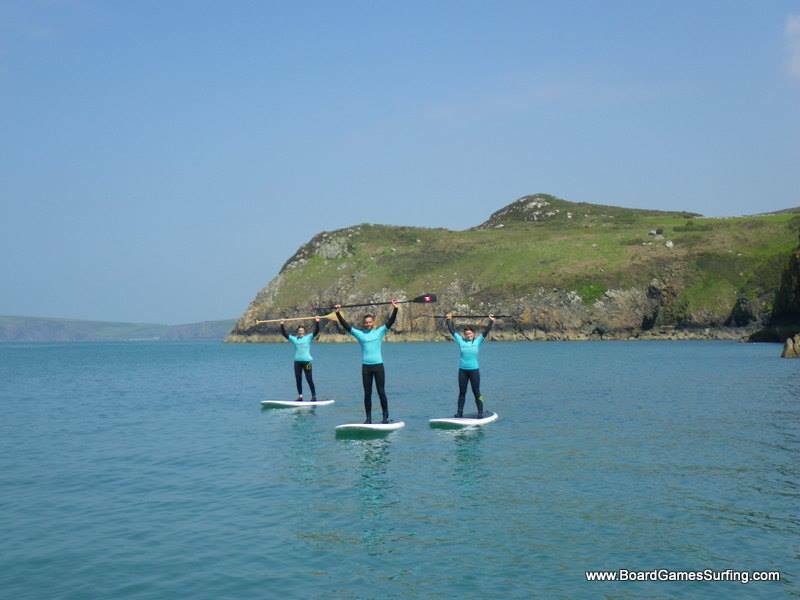 So the next question is possibly what is stand up paddle boarding?! 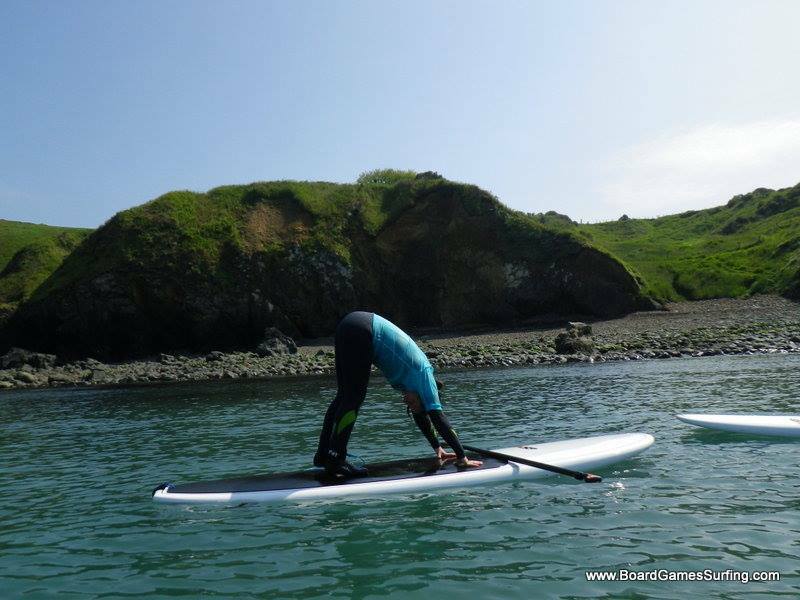 This is when you stand (or kneel if you are just starting out!) 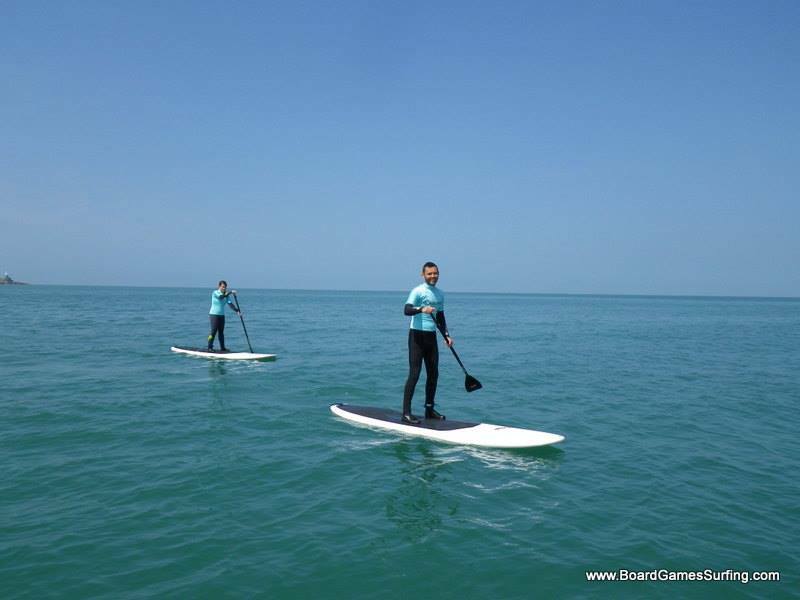 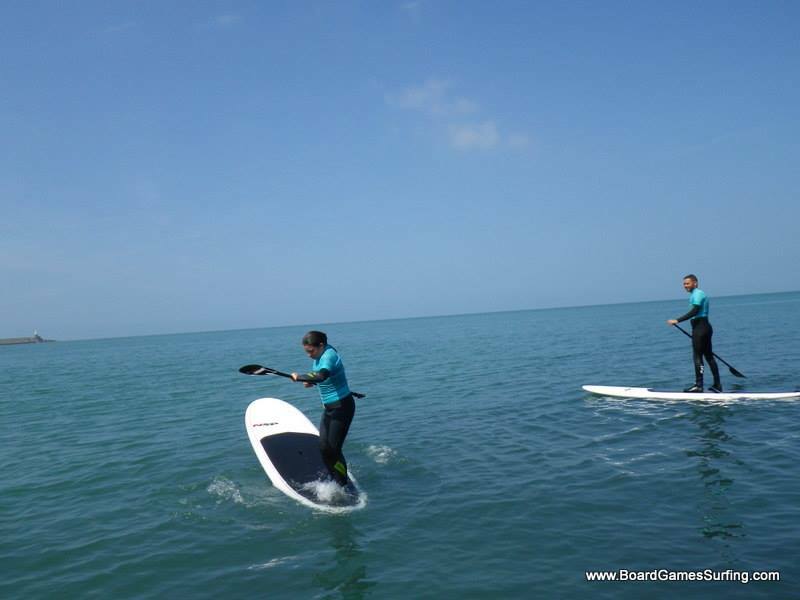 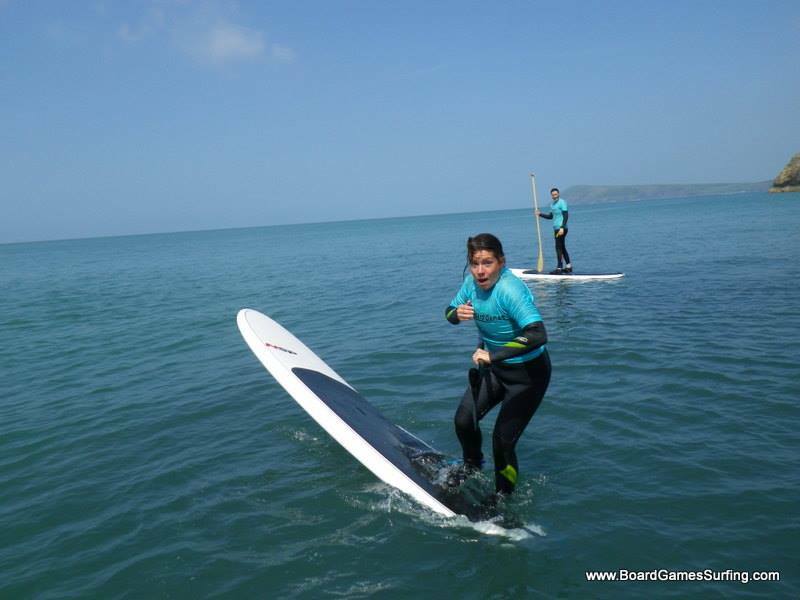 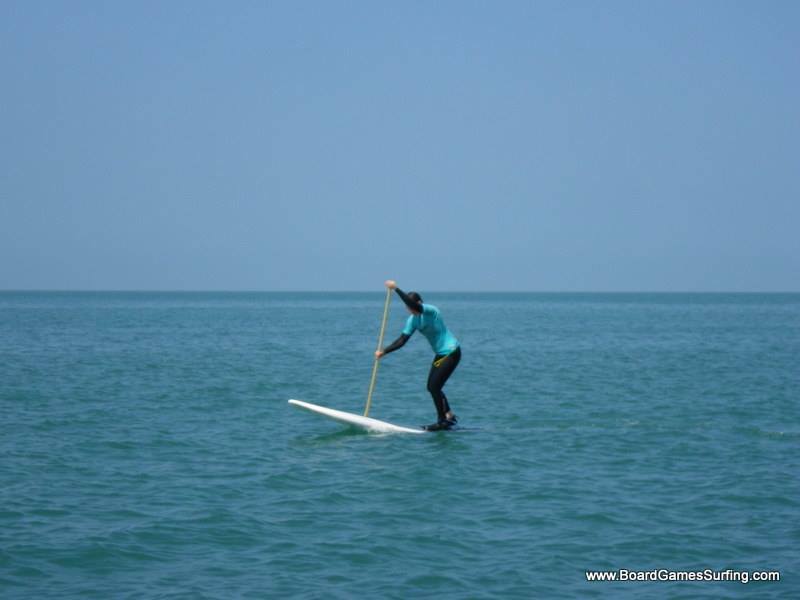 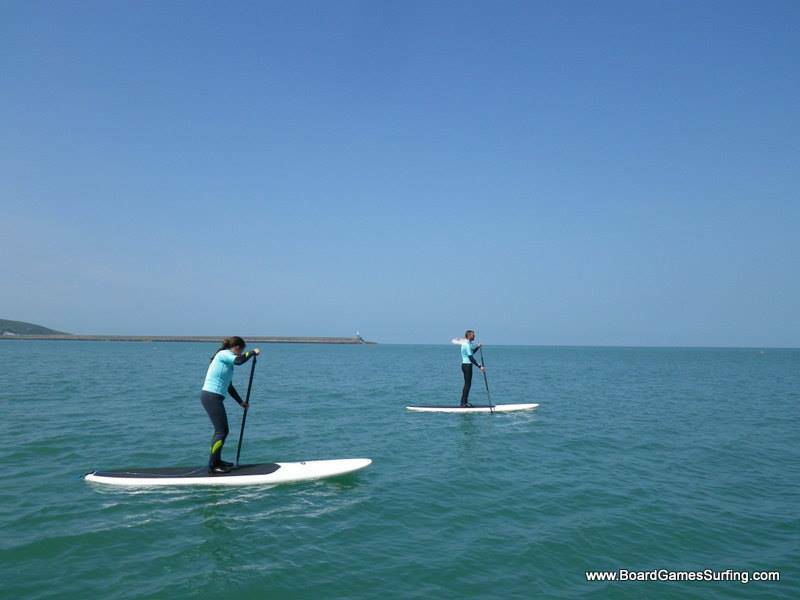 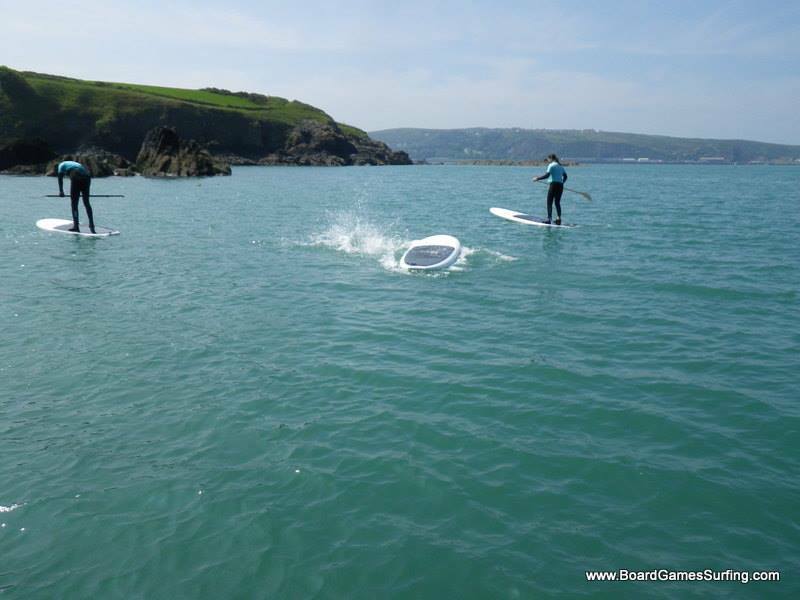 on a super floaty board and use a single-bladed paddle to move about! 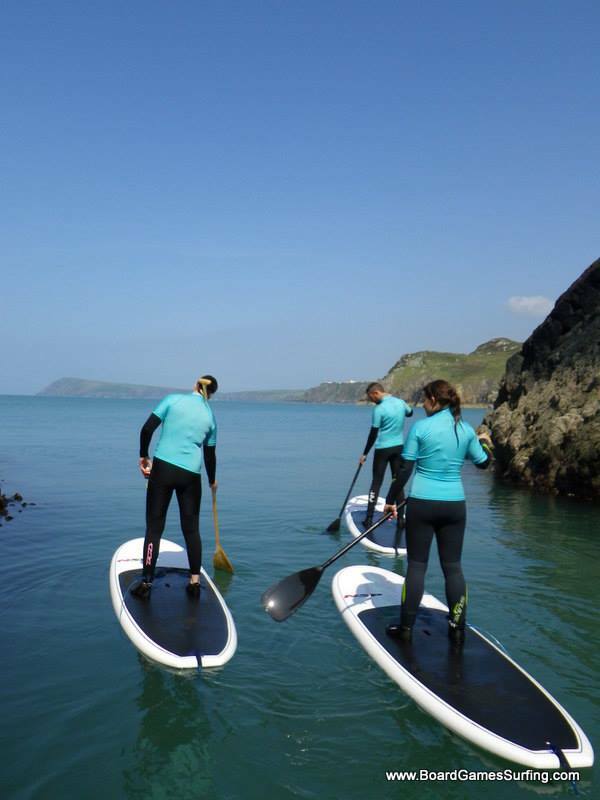 SUP has been around for quite some time (Wikipedia – Stand Up Paddle Boarding) but in recent years it has really taken off on the UK shores. 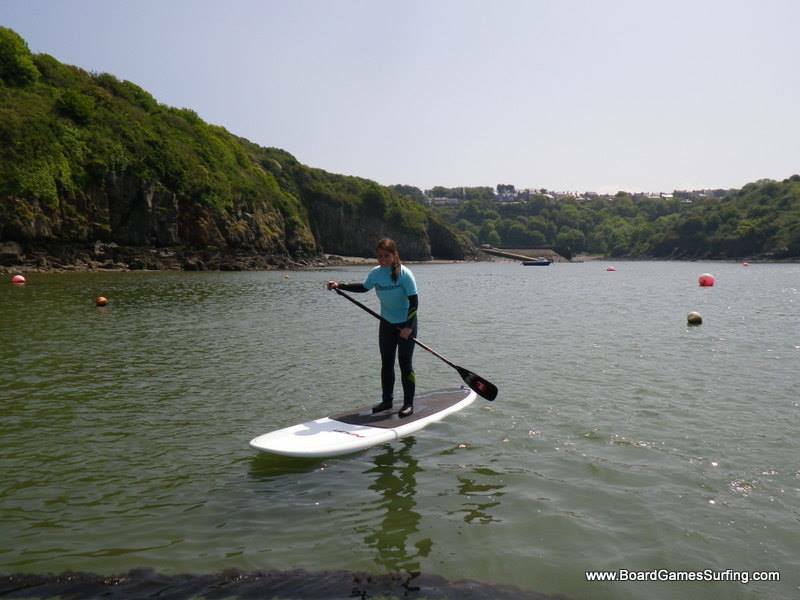 Hitting the coasts, inland lakes, rivers, canals and in the surf too! 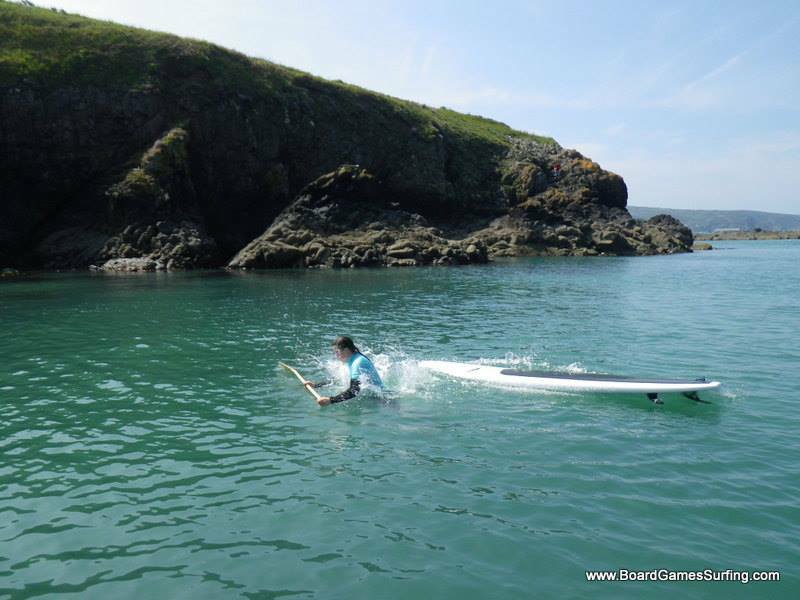 It really is a great sport for all and so versatile. 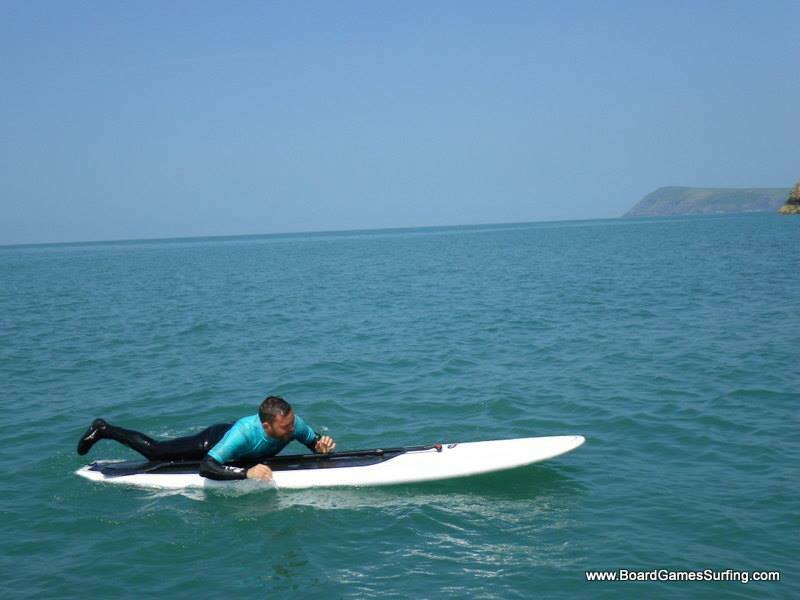 You can get a few types of board, depending on what you want to do with it! 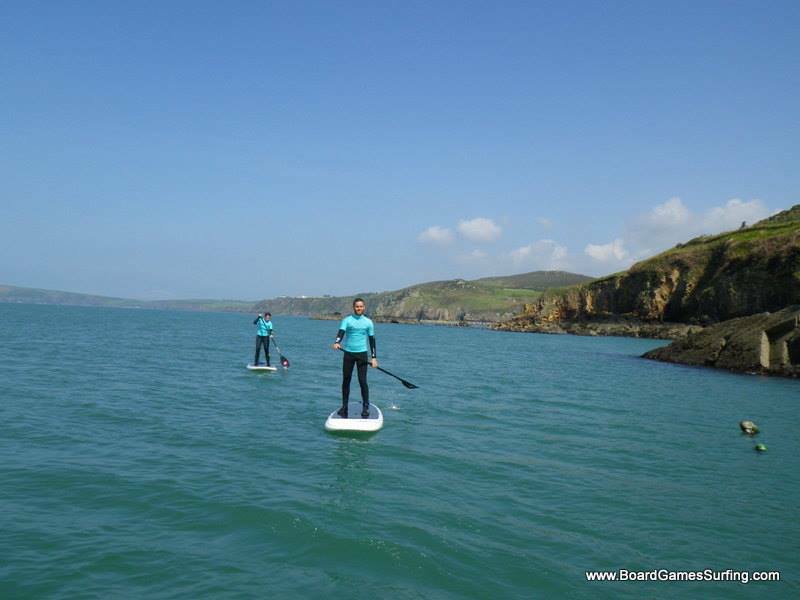 Watch out for a blog post coming soon where we will run down all the different ones available to you! 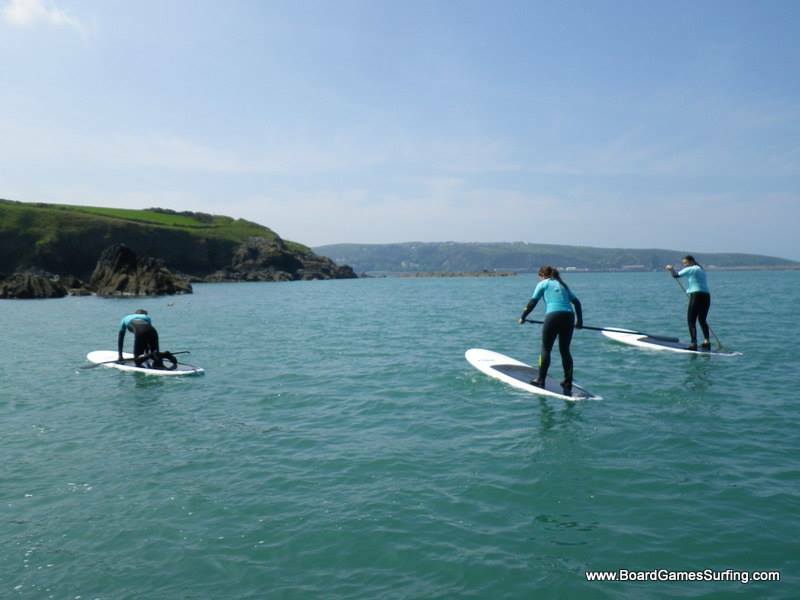 At Board Games Surfing we offer half-day sessions where we will teach you the basics and get you moving around on a board and having fun. 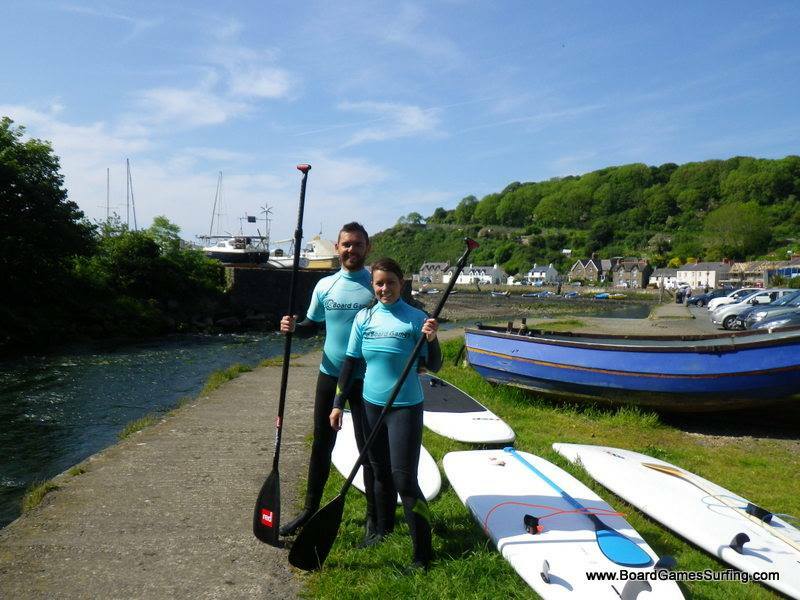 For your first lesson, we will take it slow, start out in a harbour and make sure you are getting to grips with paddling one around on the water! 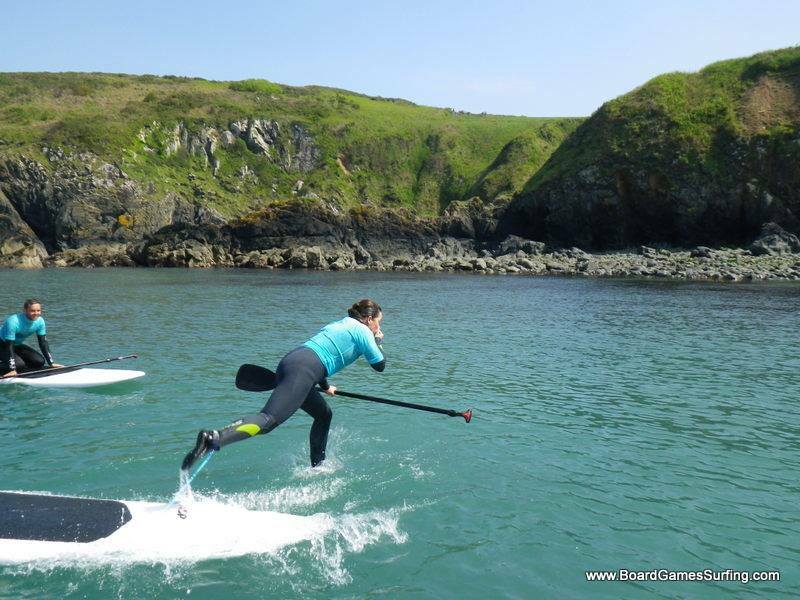 Teaching you the skills to turn and go in a straight..ish line! 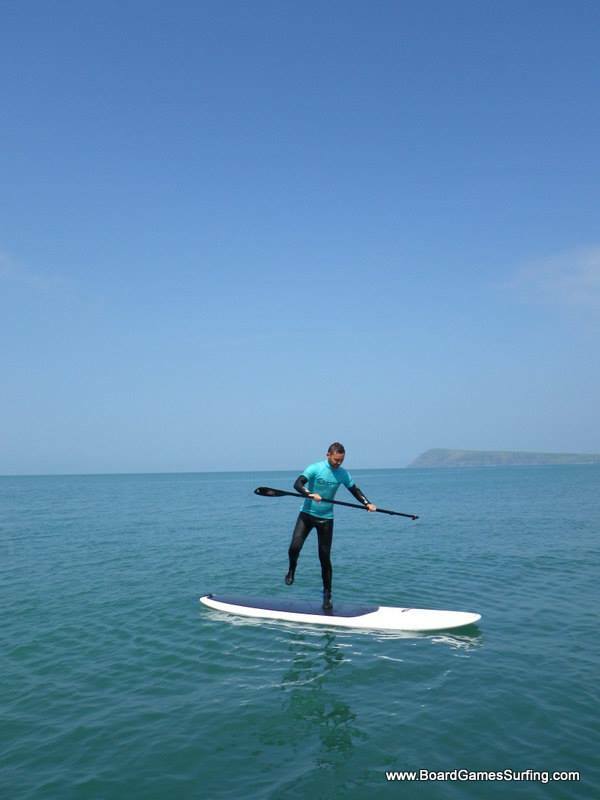 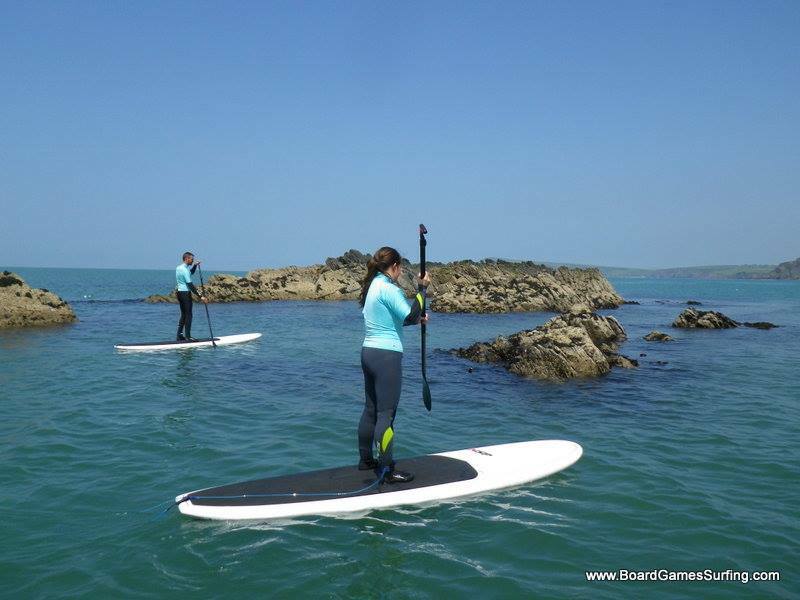 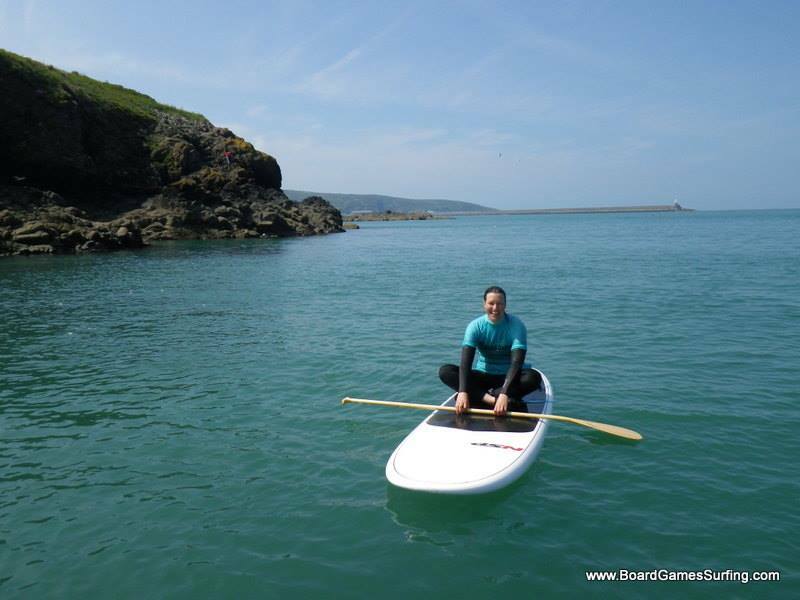 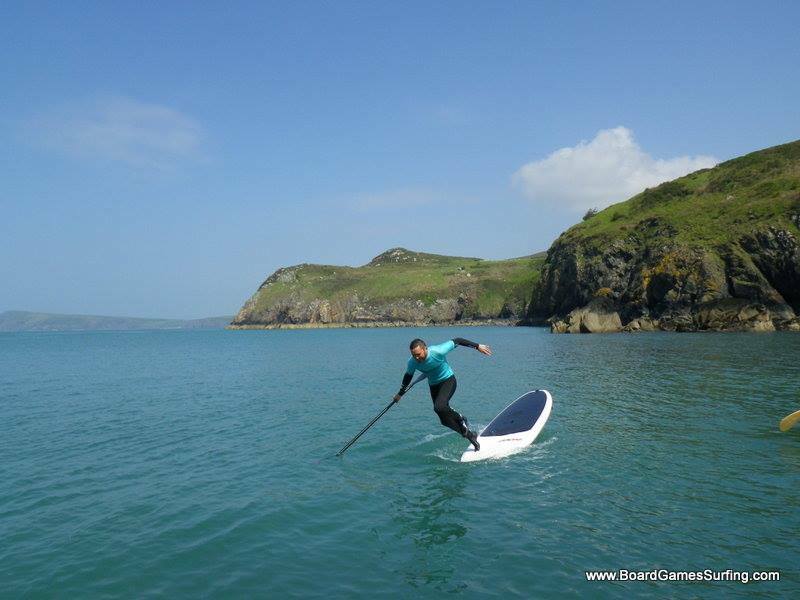 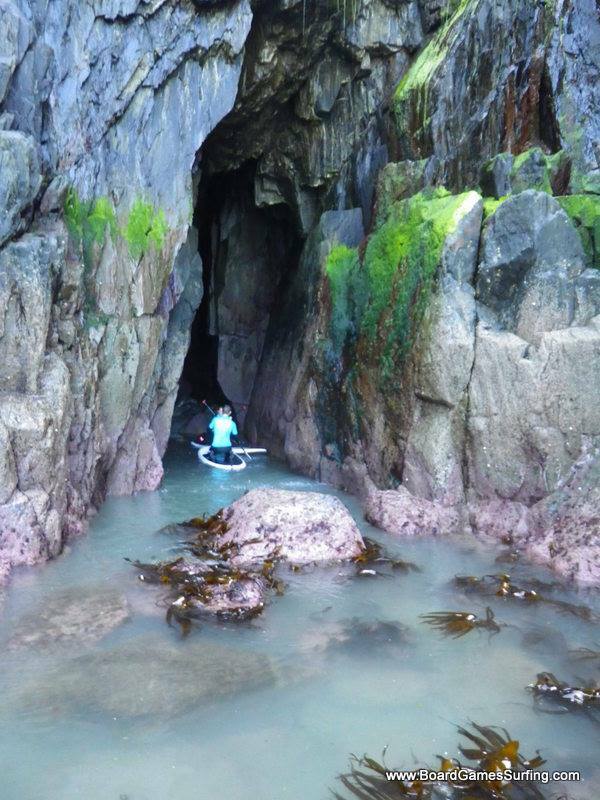 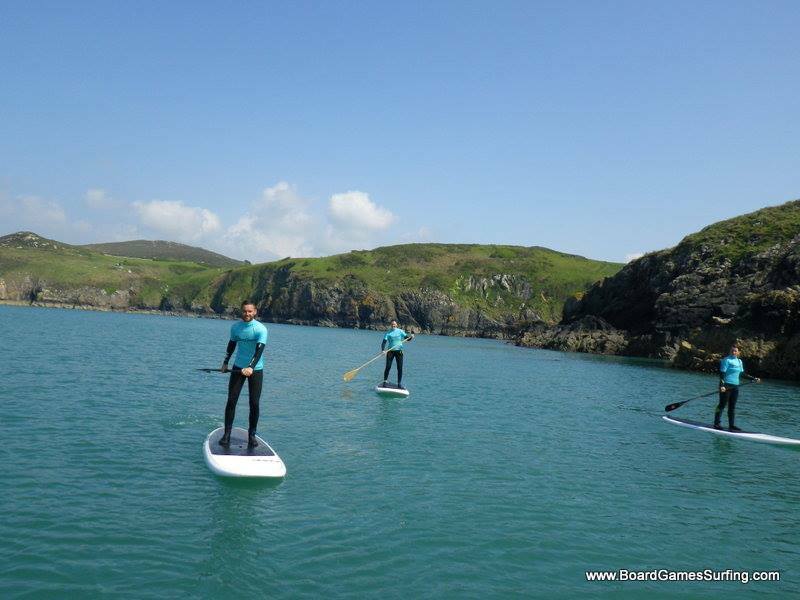 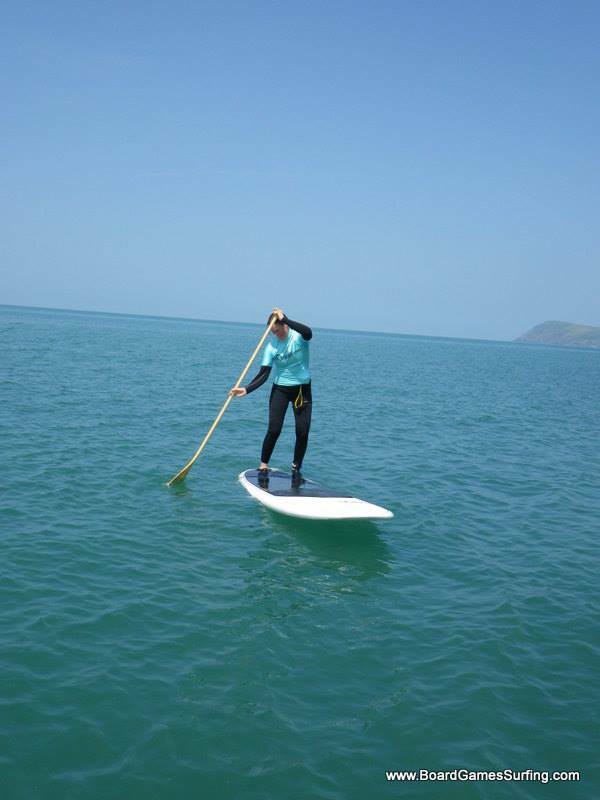 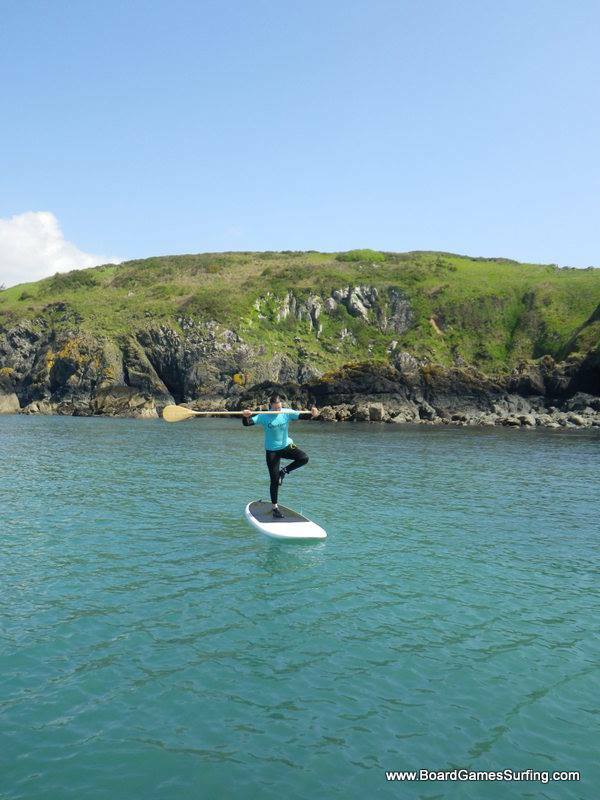 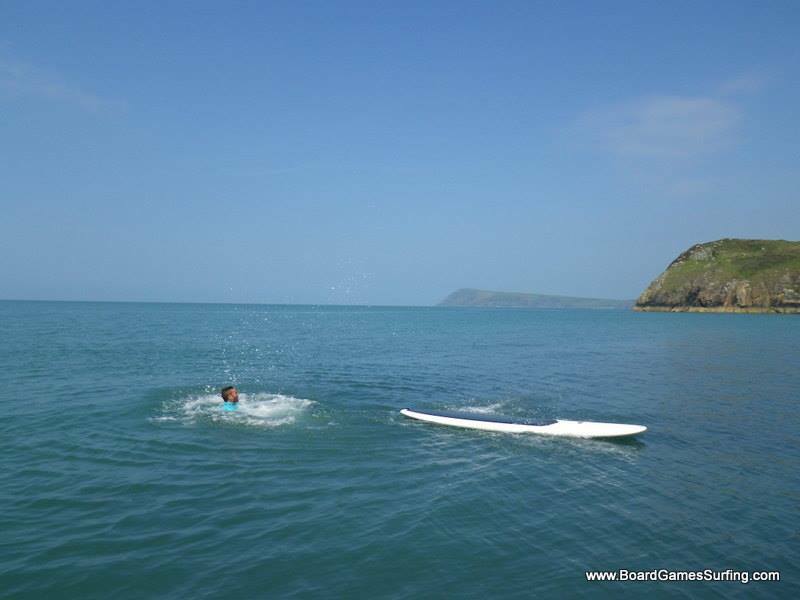 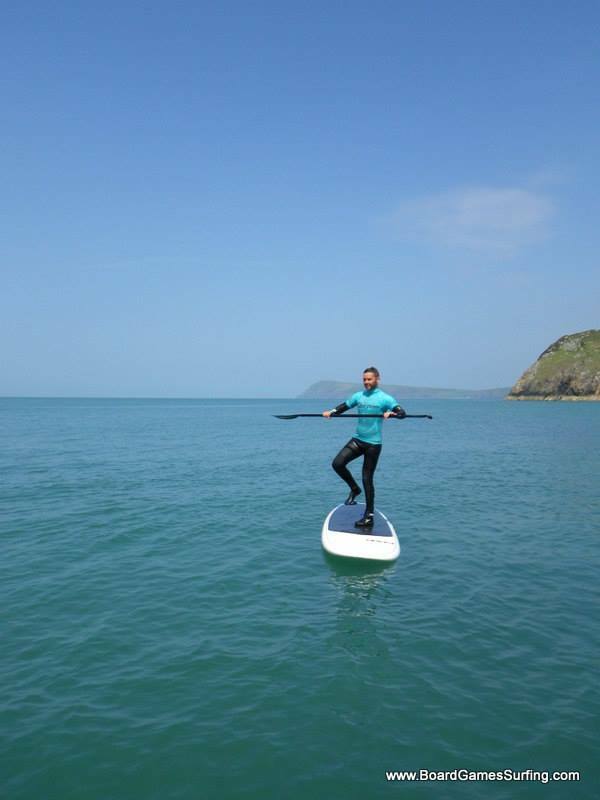 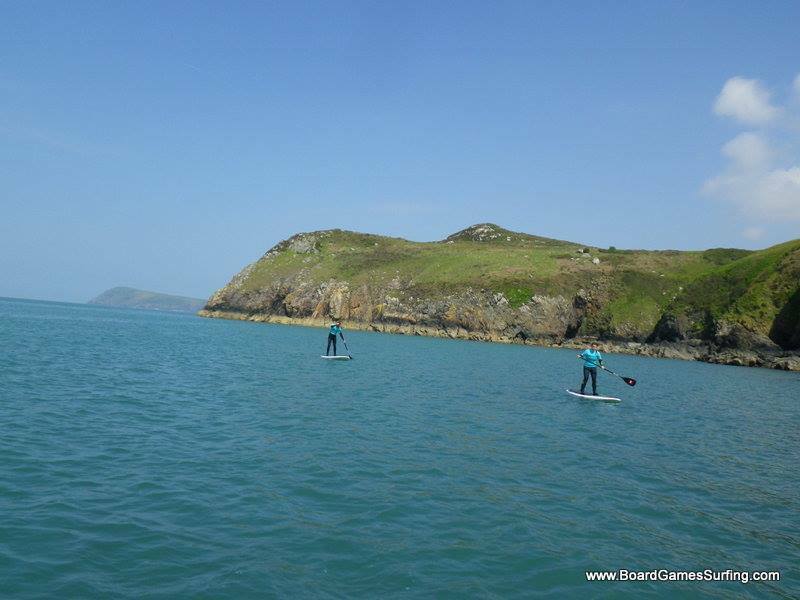 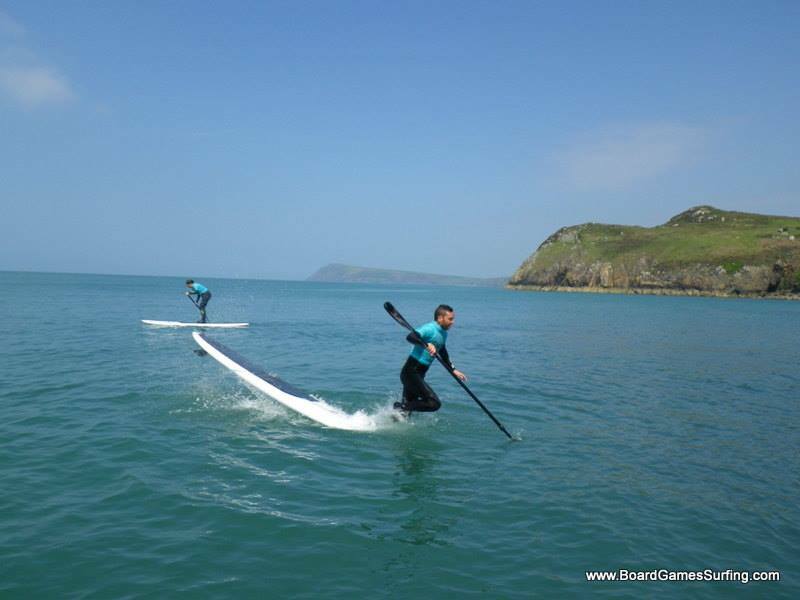 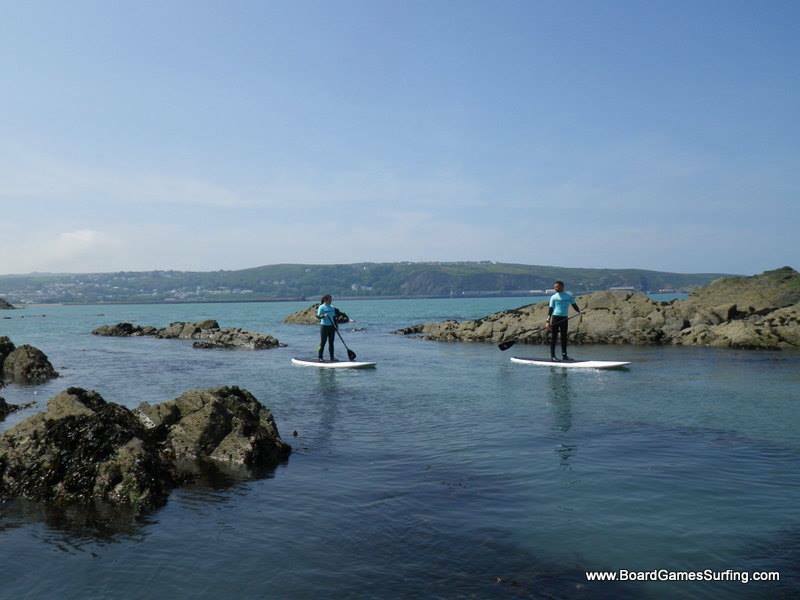 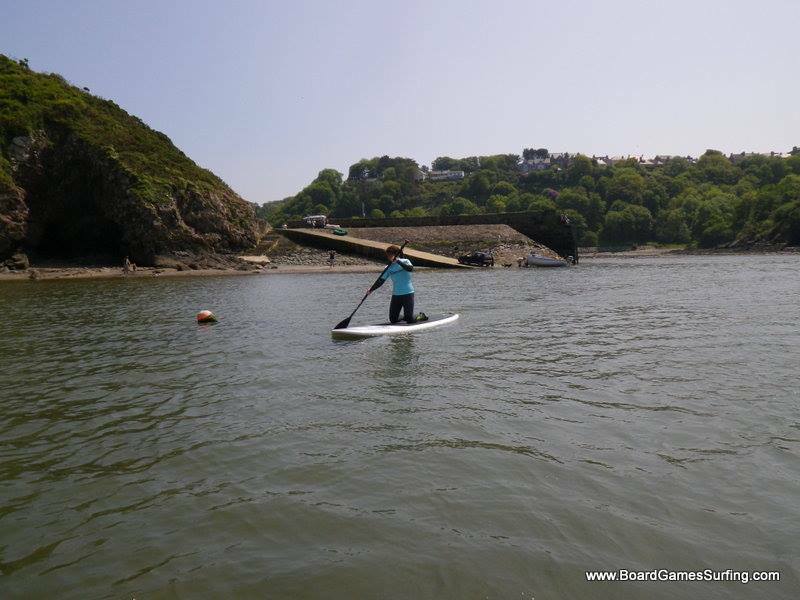 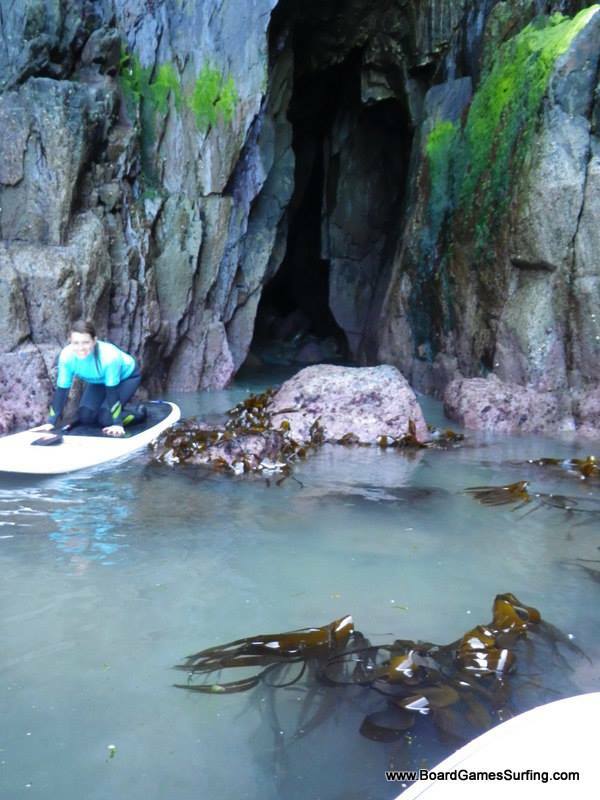 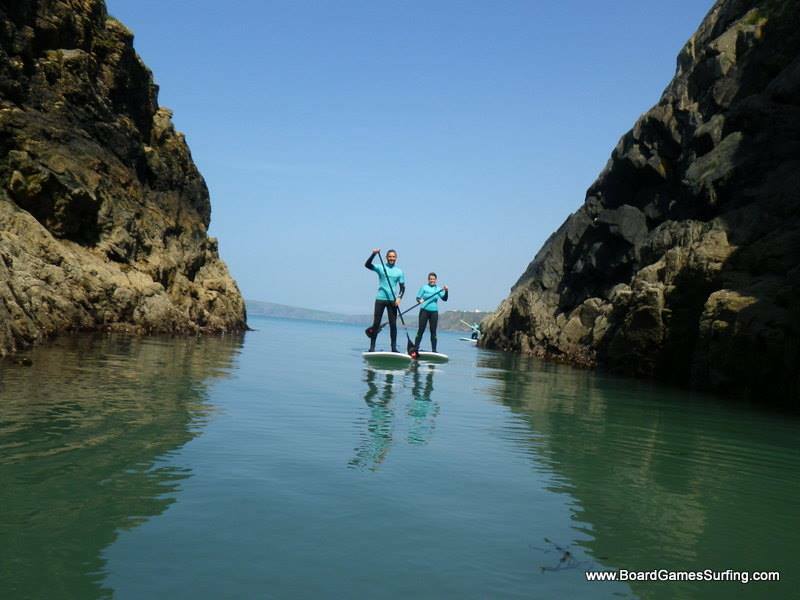 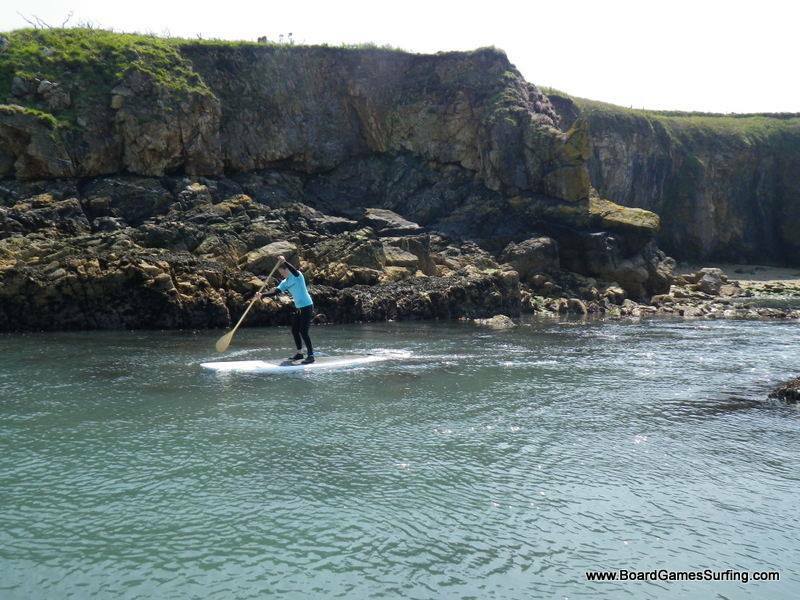 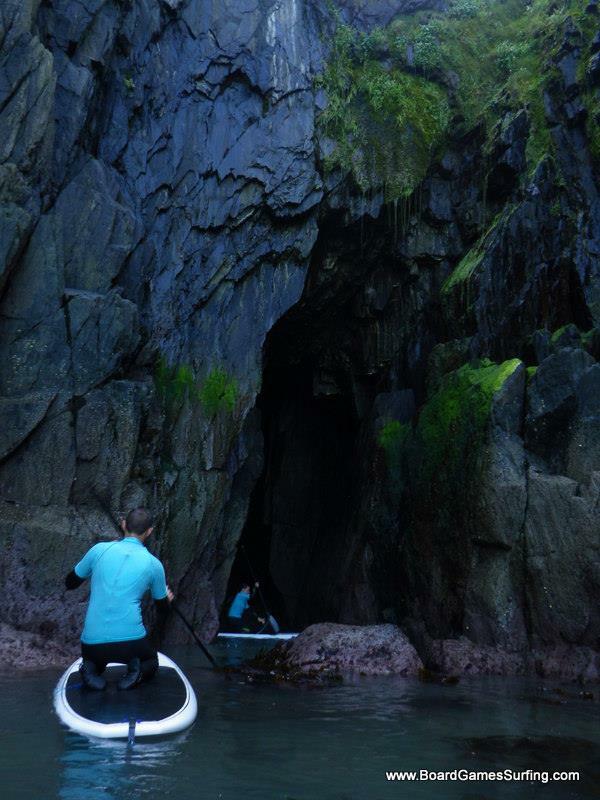 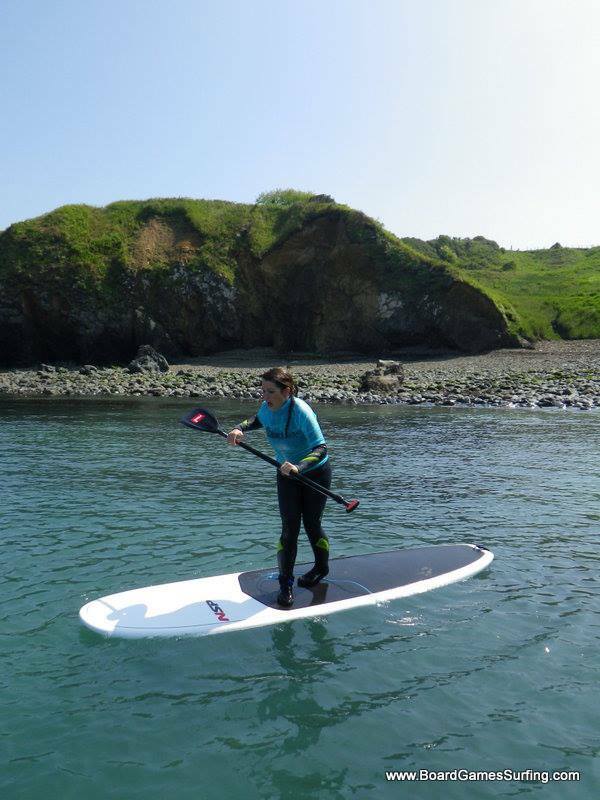 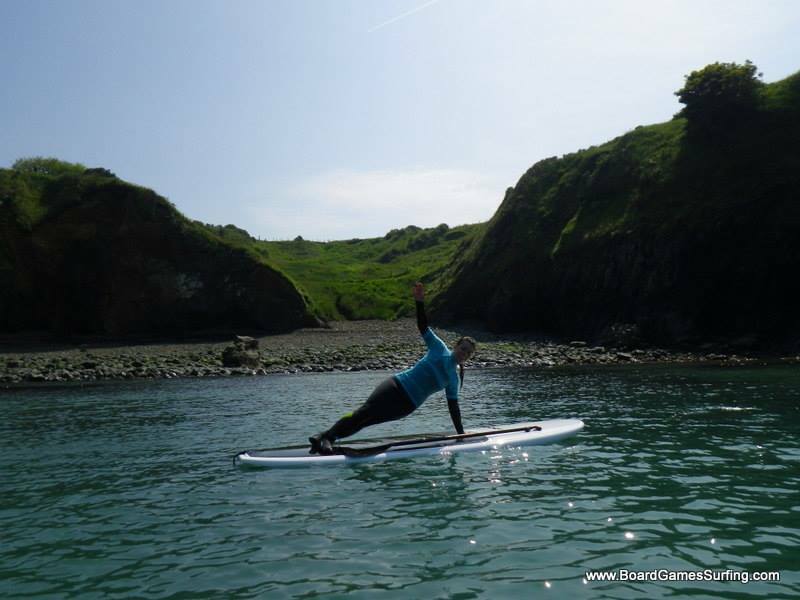 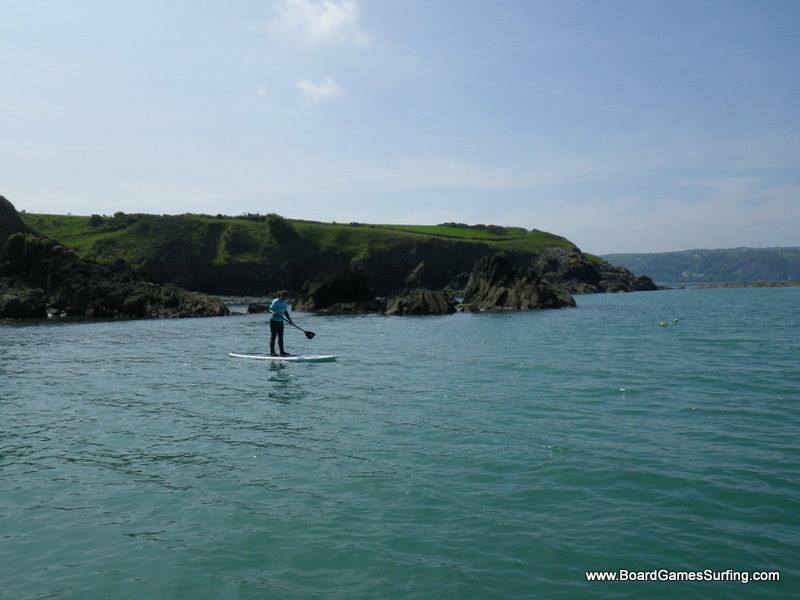 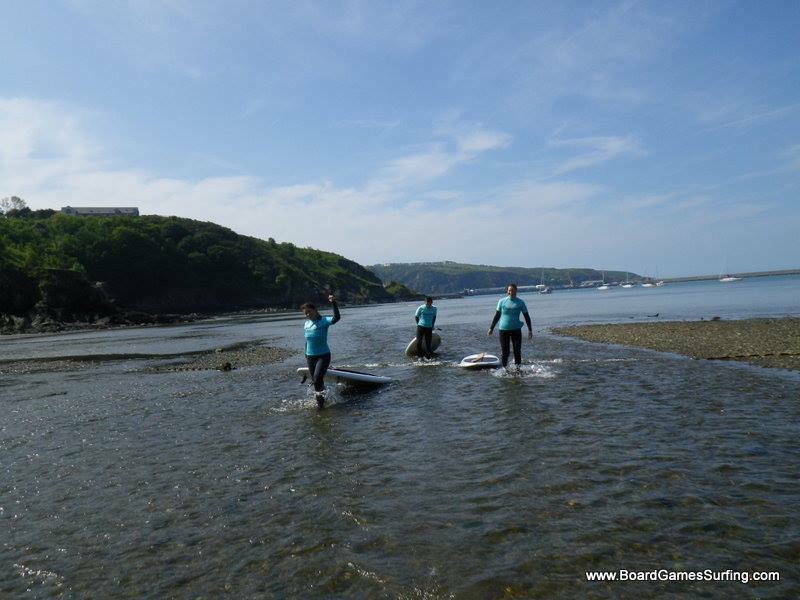 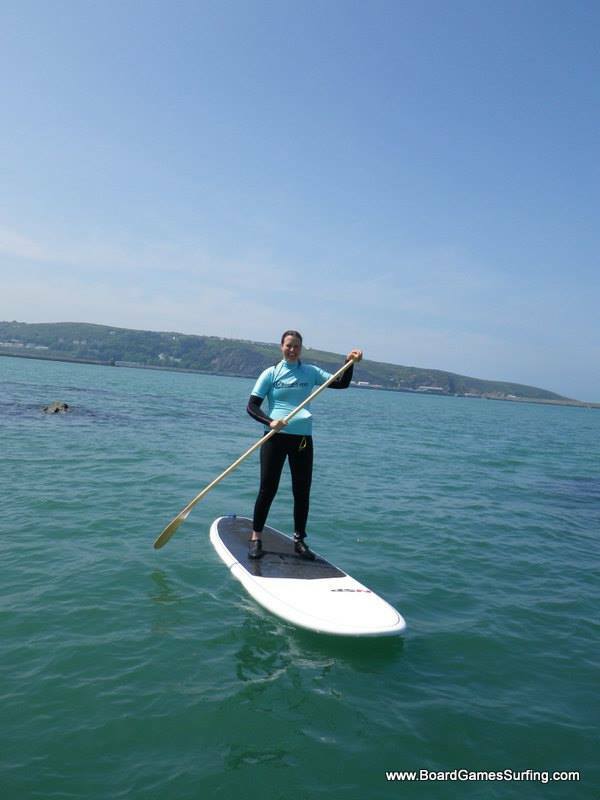 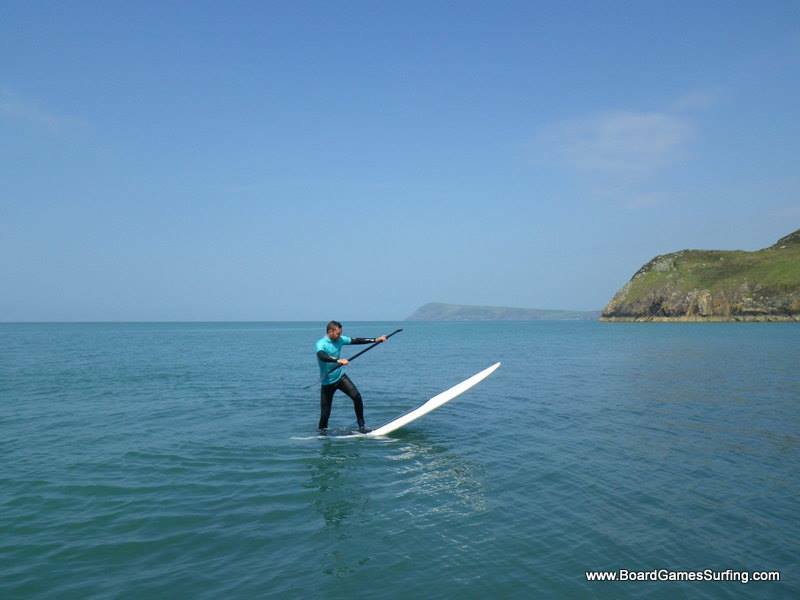 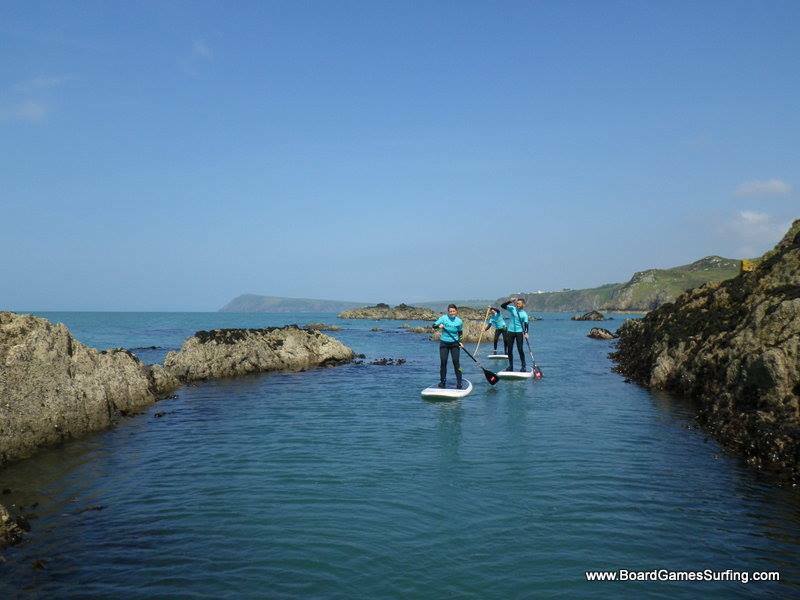 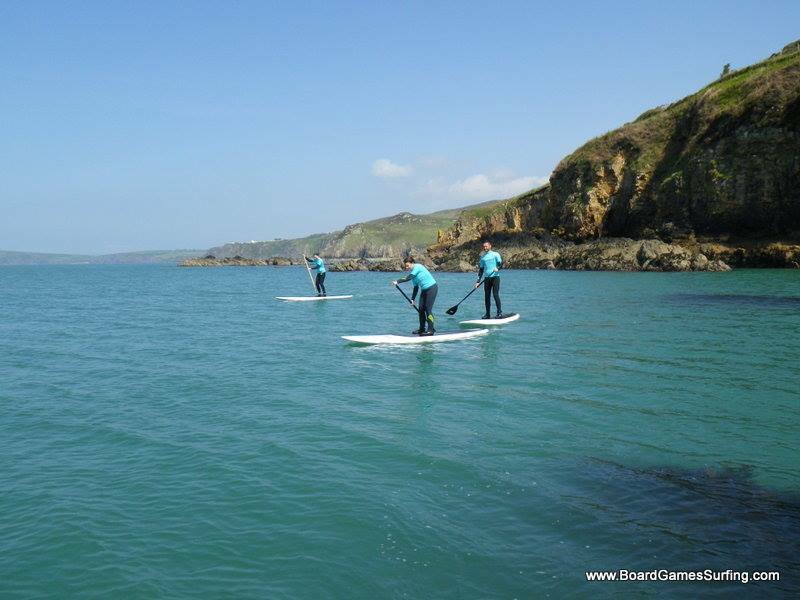 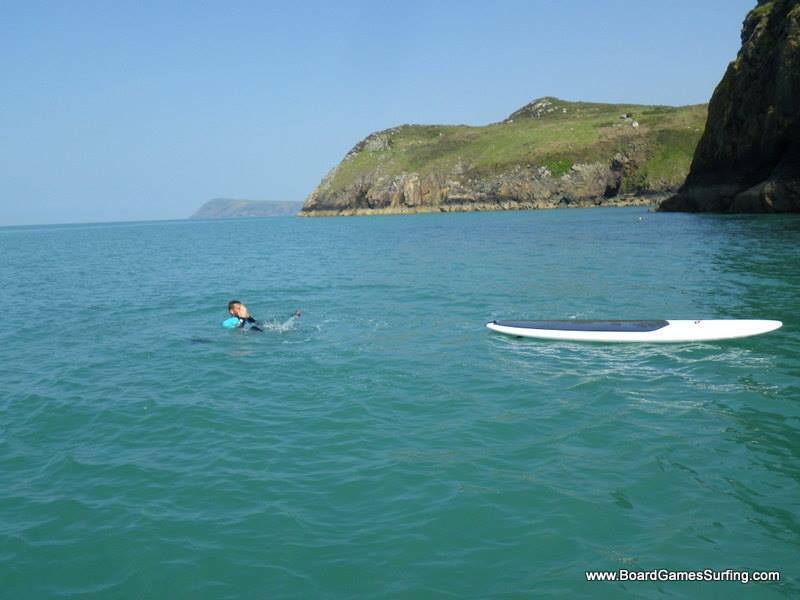 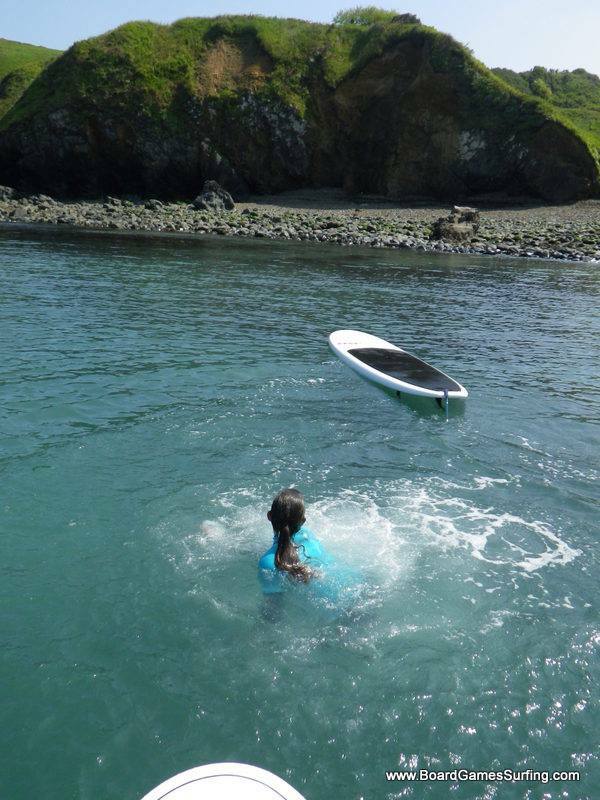 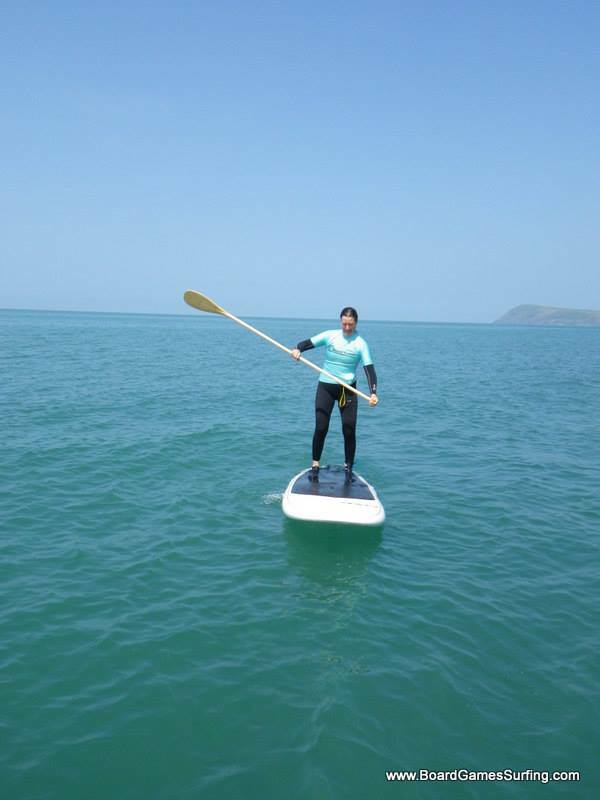 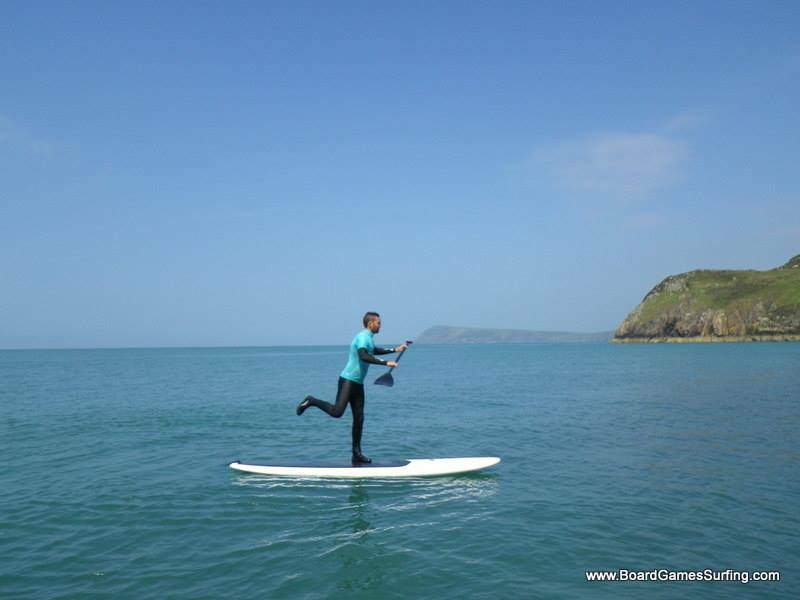 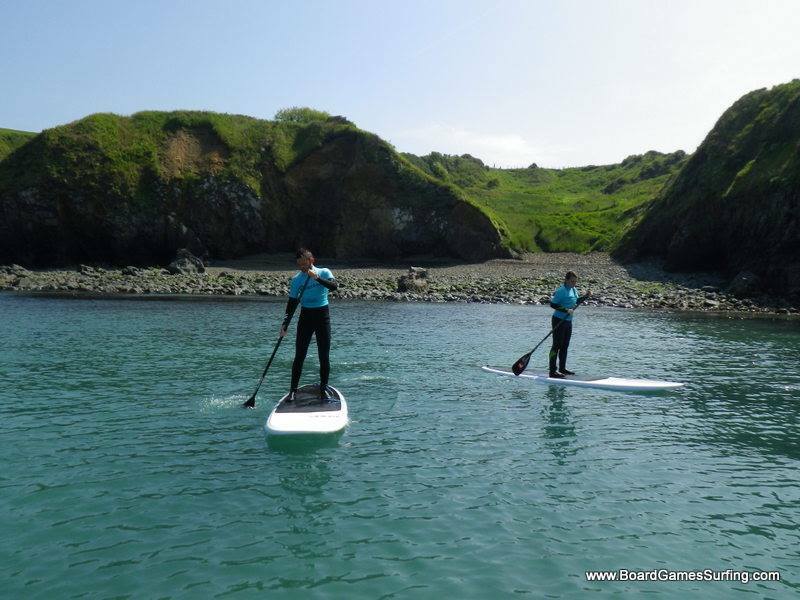 Once you get the hang of it we can paddle out of the harbour and explore the beautiful Pembrokeshire coast. 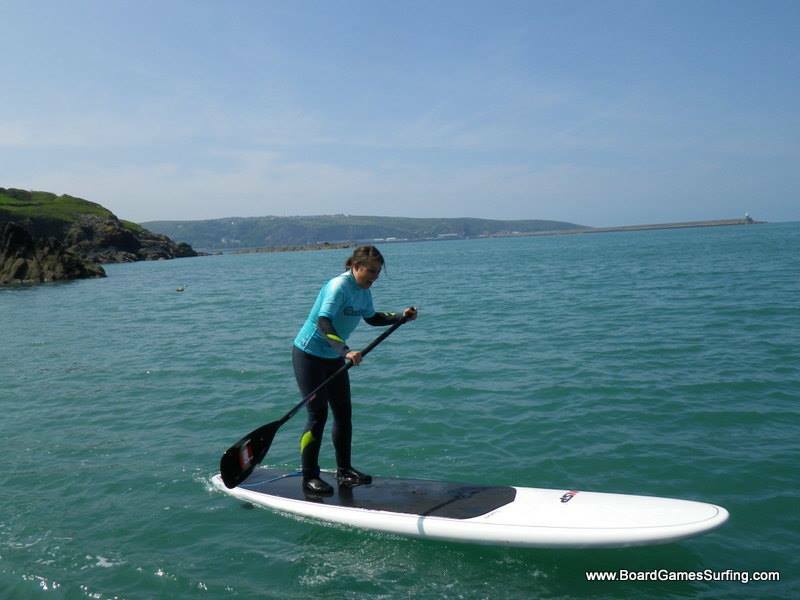 So what are you waiting for, come and join us today for your first taste of this awesome sport!